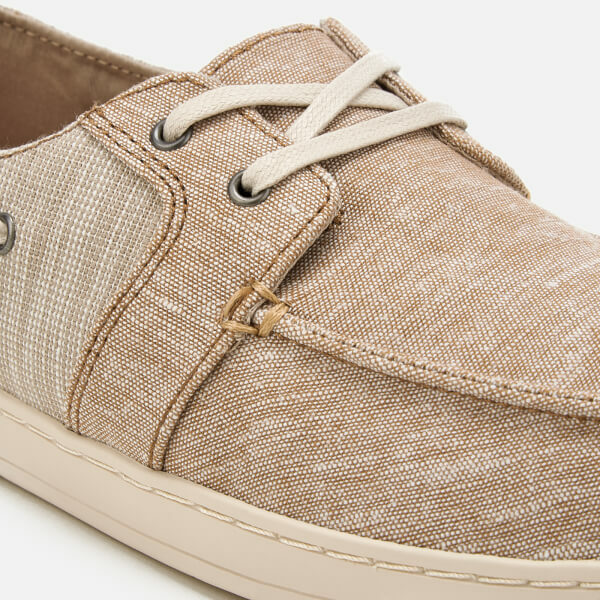 Men's boat shoes from TOMS. 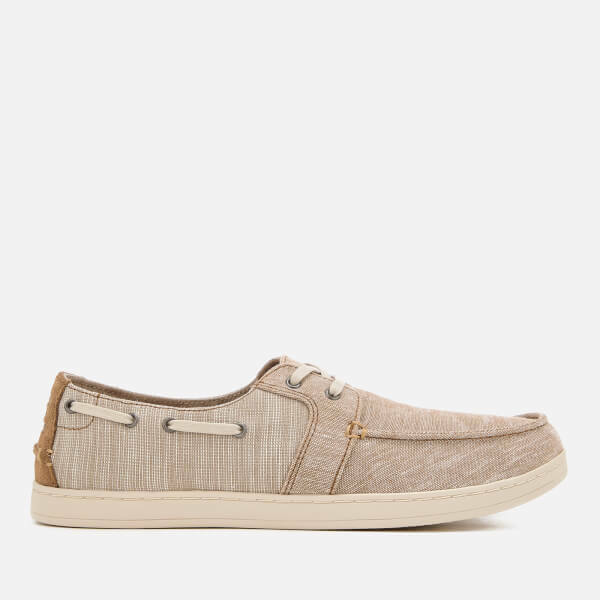 Crafted with chambray mix uppers, the 'Culver' deck shoes showcase a classic silhouette with a rounded toe, stitched apron and lace-through detail to the sides. The shoes feature inner gores, which allow them to be worn without laces, and are built with a dual-density footbed and removable insole. Complete with branded leather panel to the heel. Set upon a durable rubber sole with herringbone tread for enhanced traction. Upper: Textile/Leather. Lining: Textile. Sole: Textile/Synthetic.